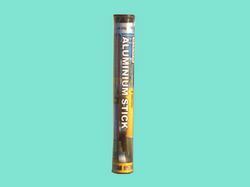 Leading Manufacturer of underwater epoxy stick, titanium epoxy stick, aluminium epoxy stick and steel epoxy stick from Ghaziabad. 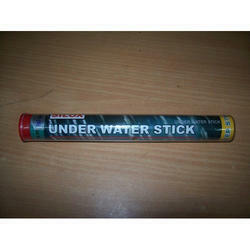 Underwater Epoxy Stick is a high strength underwater & wet surface repair composite epoxy putty. Repairs & rebuilds anything made of metal, fiberglass, concrete, wood, plastics especially suited to sealing water leakages. 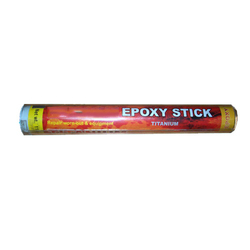 Titanium Epoxy Stick is multi-purpose, specially formulated titanium filled putty having outstanding compression strength and chemical resistance, recommended for most critical repair and reclamation. 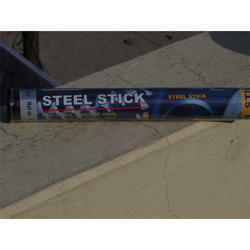 Fully machineable can be drilled, tapped, machined or filed.